Pharmacyclics is an AbbVie Company, headquartered in Sunnyvale, California. We develop and commercialize small-molecule medicines for the treatment of cancers and immune-mediated diseases, for which there is a great, unmet medical need. Our charge is to discover breakthrough therapies that improve standards of care and help patients rediscover the Magic of Normal. Learn more from our President Video message from Erik von Borckeabout the difference our people are making. We’re constantly seeking professionals with extraordinary talent, and a sense of purpose that empowers those around them. We know achieving the remarkable impact we envision means more than just succeeding in our laboratories. No matter where you work at Pharmacyclics, you’ll find yourself surrounded and supported by creativity and collaboration. Ready to take science – and your career – where it’s never been before? 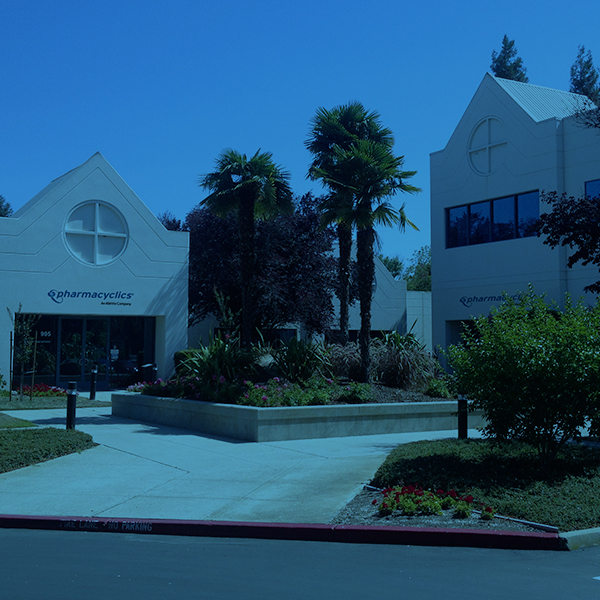 Our Silicon Valley headquarters in Sunnyvale, CA is one of three AbbVie locations in the Bay Area. Our European office is based in Schaffhausen, Switzerland. A challenging and fulfilling career striving to help our patients and advance cancer care is already remarkably rewarding. But that’s just the beginning of “what’s in it for you” in a career at Pharmacyclics. Concierge service, shuttles, campus bikes and more! Pharmacyclics is a proud part of AbbVie (NYSE:ABBV), a global, research-based biopharmaceutical company striving every day to advance cancer care.